During his recent four-day stay in Bantayan Island, Cebu, John Lloyd Cruz became the subject of gossip after a series of videos of his trip with rumored new girlfriend Ellen Adarna surfaced online. 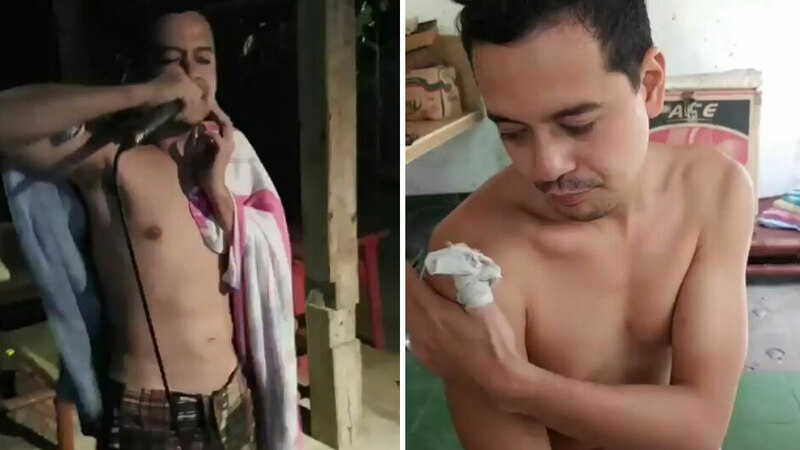 Netizens speculated that John Lloyd was in various states of intoxication in the Instagram Stories taken by Ellen's friend, Doreen Ting. But earlier today, September 11, John Lloyd sent out an apology on Instagram. Without referring to the issue, he wrote: "Diz iz mi lerning (This is me learning). Very humbling but I do apologize to the little boys & girls. No regrets, babies. Just life revealing its raw beauty." Despite the online backlash towards the Kapamilya actor, a source came forward and spoke with PEP.ph to clear John Lloyd's name. "Sobrang kalog lang niya," the source said. "Wala. Clean fun lang talaga 'yun. I can assure you of that. He's very happy lang to do normal things na nagagawa ng isang ordinaryong tao. Namalengke siya at nakakapaglakad siya na di pinagkakaguluhan ng mga tao."